As Japan’s best-loved culinary creation, sushi is already pretty awesome. But it’s somehow even cooler when it’s at a revolving sushi restaurant! The combination of seeing what you want before you grab it, and the tech involved make revolving sushi an experience that’s not to be missed when traveling in Japan. As the promotional image shows, Kappa Sushi’s menu goes beyond just sushi, with other options including ramen and desserts. 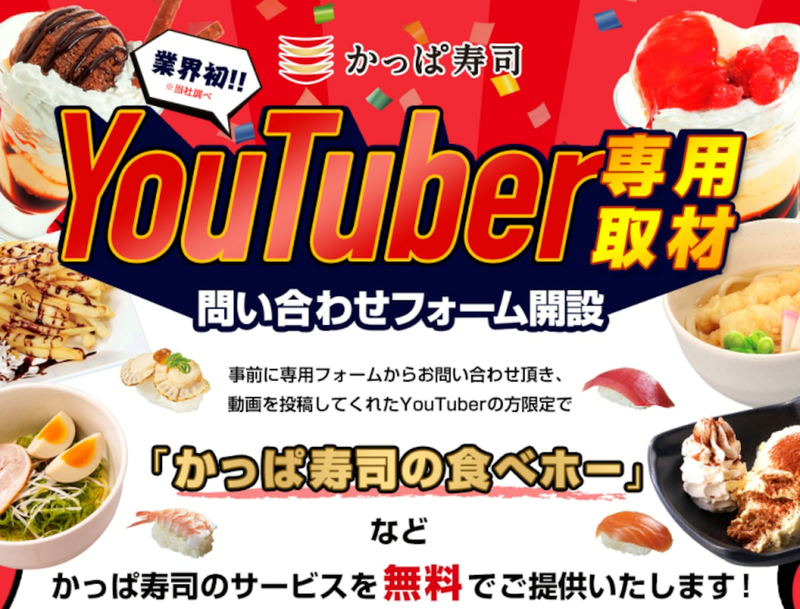 If that sounds like a good deal to you and your stomach, the next step is to fill out the online application form, which must be submitted prior to your visit (there’s no written stipulation requiring your video to be in Japanese). 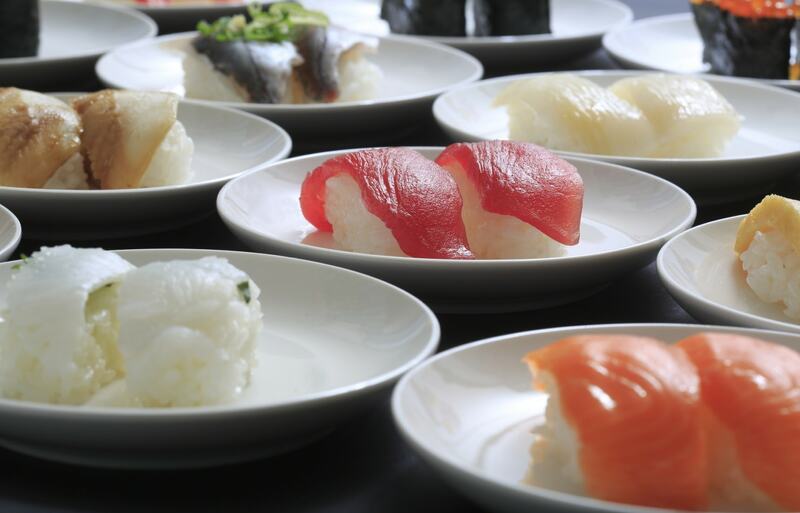 Applicants who are chosen will then be contacted by Kappa Sushi to set up the specific date and time of their visit to one of the chain’s branches in Tokyo. Anyone with a YouTube channel with 100,000 or more subscribers is welcome to apply, and while that rules out some smaller content makers, if you’ve got a moderately large online following and a big appetite, the application form can be found here.